It’s Educator Appreciation Week at Barnes and Noble . Bring or rendezvous with a retired, semi-retired educator/mentor who has made a positive impact on your life for some refreshments and fellowship. Treat them to a new book from Barnes and Noble, take them out to lunch afterwards on Thursday January 14…. Homeschool parents, ANY PARENT if you are available, Grandparents, check out Parenting Strategies on the Go: to help create plans of action for teaching your children as you travel in 2016. One thing I would like to emphasize from the book is learning with Howard Gardner’s Multiple Intelligences. Along with a discussion on teaching strategies from me, there will be special refreshments for everyone and activities for the students. Children 11 and under have the opportunity to become a Bookseller-For-A-Day and learn the ins, the outs, and the behind the scenes of how Barnes & Noble Hamilton Place runs. 12 and up will have the opportunity to work with a variety of electronic and coding workshops. Who would ever think Santa could use raptors (Hawks, Eagles, etc.) to help him find children for his nice list? 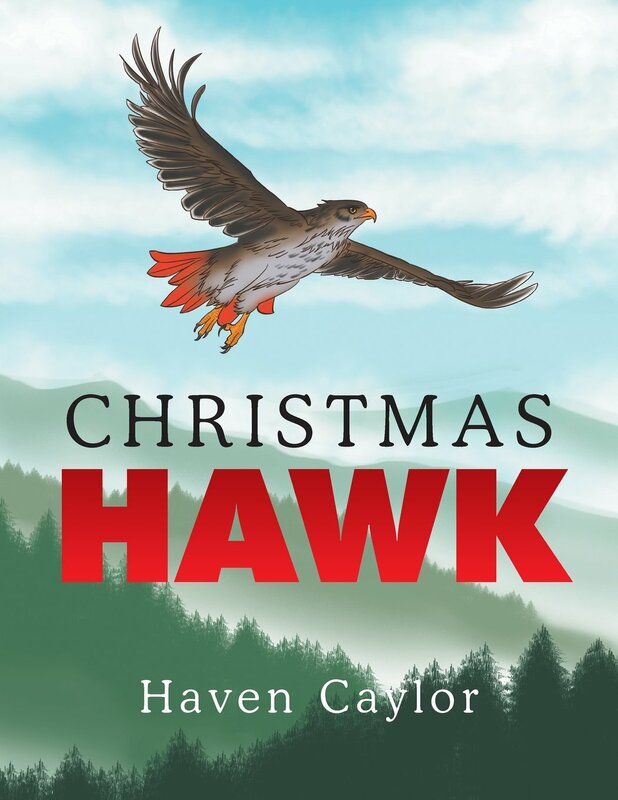 The story follows a “Christmas Hawk” who is recruited, along with other birds of the world with keen vision, by Santa himself to help him with the names on his Nice List. This sees an adorable hawk find not only nice girls and boys but also those who are the givers themselves. After all, the Christmas spirit is all about giving. Hawk and keen-eyed birds from around the world had been recruited by Santa Claus to watch children, place them on his Nice List, and in doing so, helping spread the spirit of Christmas. Some of Hawk’s friends from around the world called to help Santa included the Bald Eagle from Alaska, the Golden Eagle from Mexico, the multicolored, Chinese sparrowhawk from China, and the South American Caracara from Venezuela. Santa sent his helpers forth with magical reindeer food to help them fly faster. Hawk’s area of the world included the Mississippi River, rolling plains, plateaus, and the ancient Smoky Mountains. With Santa’s special reindeer food, it did not take long to fly, watch the children being nice, and take note of their giving spirits. Outside her nest in a tall White Oak Tree, Hawk found a brother and sister who touched her hawk heart. Their names were Carter and Ammon. Carter and Ammon had sent a letter to Santa asking for new bicycles. They were friends with their neighbors, Jenny and Henry, but Jenny and Henry’s parents were too busy for Santa Claus “shenanigans”. “Did you write to Santa for presents?” Ammon asked Henry and Jenny. Henry sighed, “What good would it do to write? Our parents don’t believe in Santa. They will not help mail a letter.” Ammon was sad…..
…. to find if Hawk has, indeed, chosen nice children with the Christmas Spirit please finish reading “Christmas Hawk” available from both Amazon and Barnes and Noble.